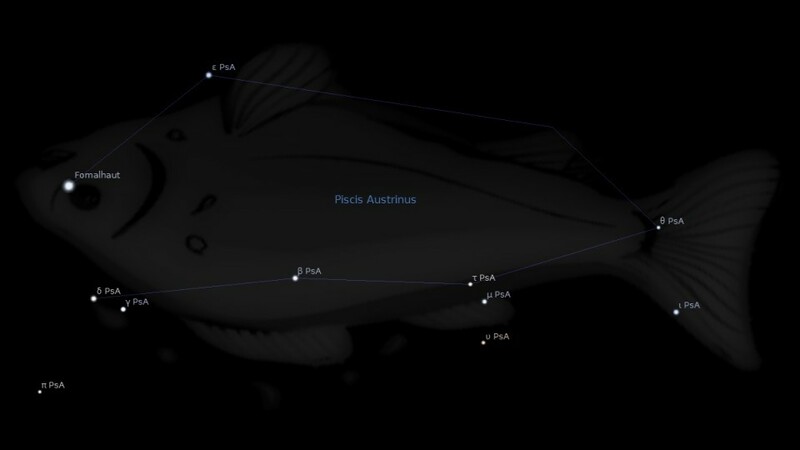 Constellation Piscis Austrinus the Southern Fish, is a southern constellation sitting below constellation Aquarius, and between constellation Centaurus and constellation Cetus. 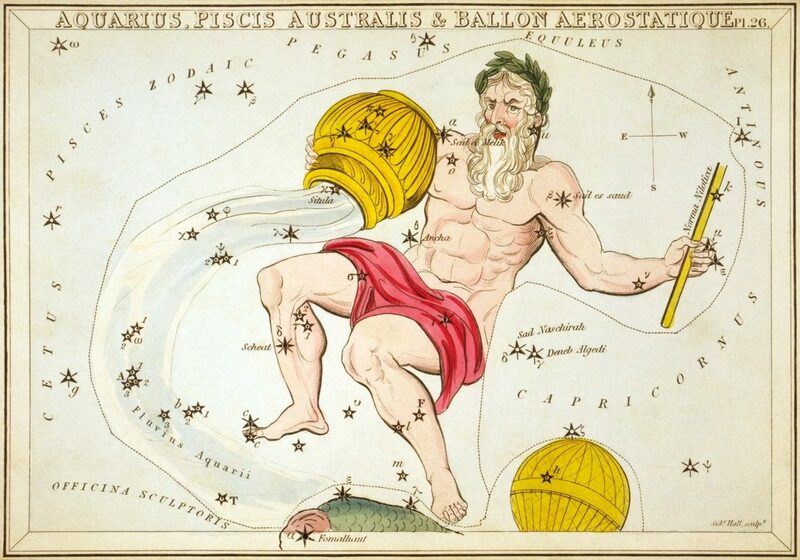 Piscis Austrinus spans 20 degrees of the Zodiac in the Signs of Aquarius and Pisces, containing 2 named fixed stars. This constellation is said to commemorate the transformation of Venus into the shape of a fish on one occasion when bathing. 2. Condos, Theony; Eratosthenes; Hyginus, 1997, Star myths of the Greeks and Romans, p.163–164. 3. Star Names: Their Lore and Meaning, Richard H. Allen, 1889, p.344-345. 4. Astronomica, Manilius, 1st century AD, book 5, p.333. 5. The Witness of the Stars, E. W. Bullinger, Piscis Australis (18. the Southern Fish).